The Rockdoor Composite Door is available in many designs and colours, with a huge choice of hardware and glazing options. 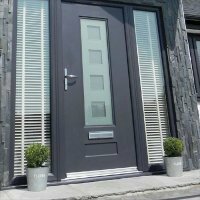 Read below about the features and benefits of the Rockdoor Composite Door range. IF you like a quote, give our support team a call on 0117 971 9922. Tailor Made. Each Rockdoor is made-to-measure and so is unique to your home. Because most commonly-available composite doors are mass-produced - often to a standard shape and size, and then cut down or otherwise modified to fit your doorway, they’re inherently weaker, less secure and more prone to draughts. 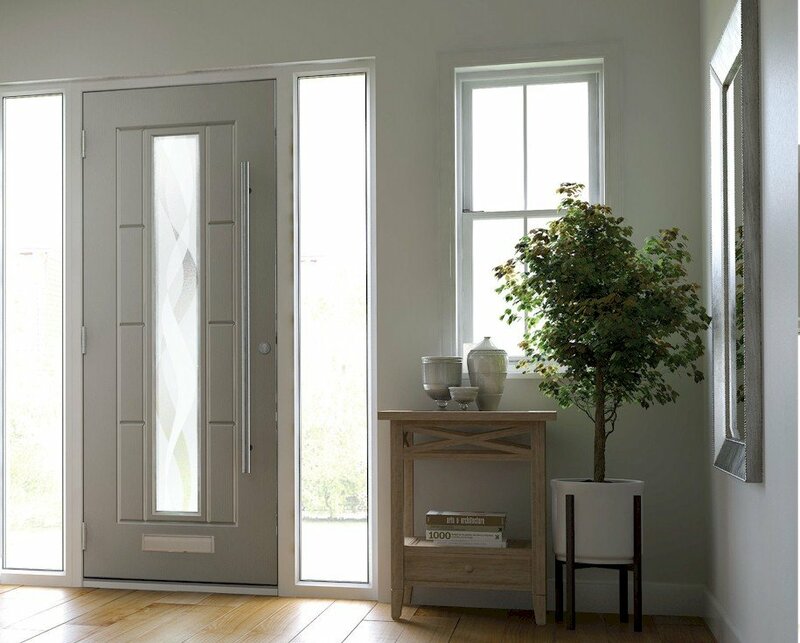 As well as being lovingly made for you from scratch to the exact size you need, Rockdoors are built from uPVC rather than timber or GRP and so won’t warp, swell or struggle when it comes to energy efficiency. Rockdoor has been the driving force behind composite door technology for over 20 years. During that time, more than half a million doors have been produced at our Lancashire innovation and production centre. We use nickel-coated solid brass for our hook locks, high impact uPVC skins to resist cut-through, carbon fibre to reinforce our inner frames and a unique S-Glaze system that locks the glass into your door for life. It means Rockdoors can’t be forced open. The toughest, safest and most energy efficient door. Keeping you safe. Reducing your bills. Giving you choice. Totally Hooked. Nearly 70% of burglaries involve forced entry through the front or back door. Our nickel-coated solid brass hook locks slide into steel keeps that run the full length of the outer frame. It means your Rockdoor can’t be forced open. Completely Safe. Rockdoor hit the headlines as the ‘Door That Beat The Bobbies’ when local police had to abandon their attempts to break through a Rockdoor with battering rams. In fact, it’s so hard to break through a Rockdoor that the Fire Service visited our manufacturing facility for training on how to do so in the rare event of an emergency. To help them during their practice sessions, they used a high tech diamondtipped power saw which even expert burglars don’t carry with them. If you buy cheap you invariably buy twice. So we’ve made no effort to cut corners. When it comes to protecting you and your loved ones, we’ve been tried, tested and trusted for over two decades. Are you sure you can afford to settle for second best? It’s reassuring to hear and read about 3 star cylinders, multi-point locks, 50mm thickness, steel drill plates, carbon fibre reinforcement, toughened glass, S-Glaze technology and high impact uPVC skins. But we reckon that what matters most to you as you lock up your home is that the only way to get past your Rockdoor is with your key. Hook Locks Nickel-coated solid brass. They slide into steel keeps that run the full length of the outer frame. It means your Rockdoor can’t be forced open. Carbon Fibre Used to build Formula 1 racing cars, orbiting satellites and fighter jets. Used for Rockdoor reinforcement. Guaranteed to withstand phenomenal force. High Impact Skins 50mm sash and high density core resists cut-through. S-Glaze The unique system that locks the glass into your door for life. No leaks. No draughts. No burglars. Made to Measure Every Rockdoor is designed and built from scratch to be an exact fit. 3 Star Cylinder Master Locksmith Association’s highest possible rating – SS312 Sold Secure Diamond status. Engineered Rockdoor is designed and engineered to keep you secure in your home. Rockdoors are available in 13 colours so you can choose what’s right for you. As Rockdoors are ‘made to order’, not ‘cut to size’, all colours are available inside and out. 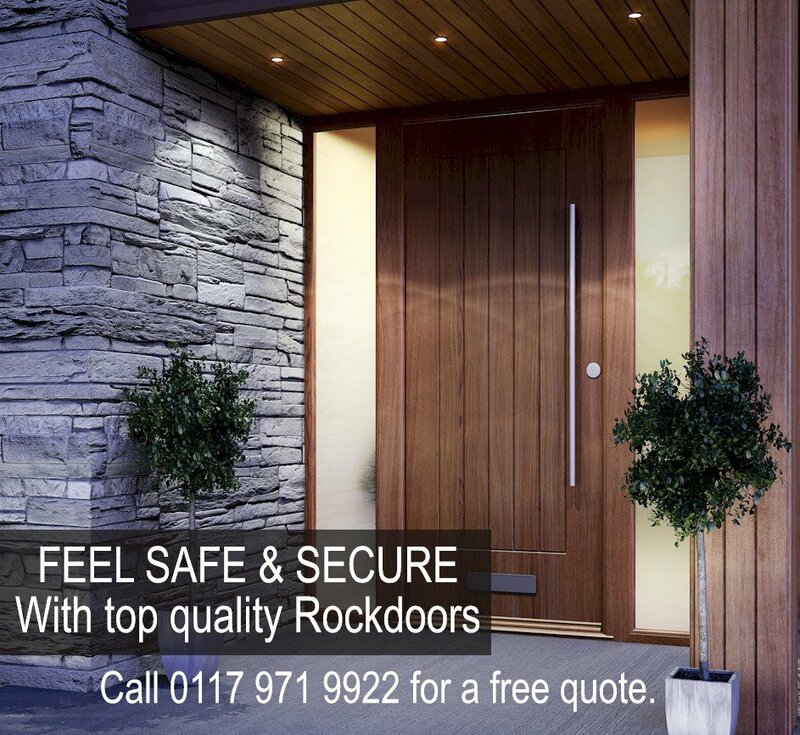 Ideal for many different styles of property, our range of Rockdoor Select Composite Doors are strong, secure and perform extremely well keeping you and your family safe and warm. Security and safety will never be compromised at Rockdoor, but we also understand that sometimes budgets just won’t stretch to the top of the range. That’s why we developed the Elite Series, comprising of 7 of our popular composite door styles with glass designs to suit. 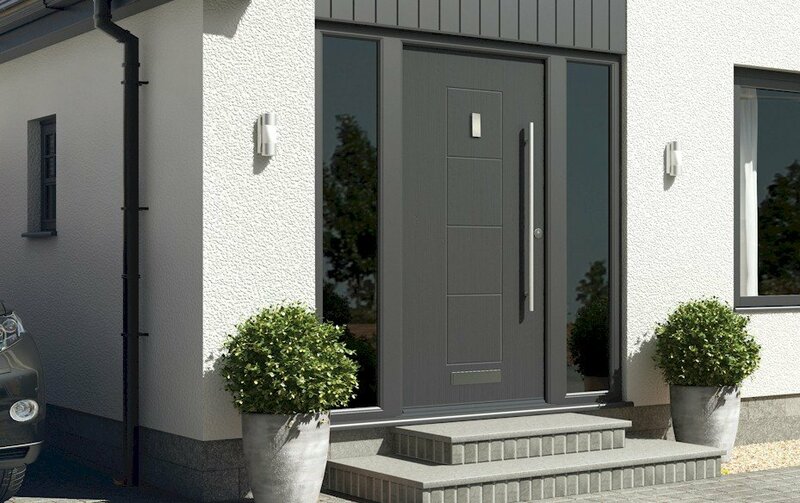 The Rockdoor Ultimate Series is designed to be the strongest and most secure composite door available, suitable for front doors, back doors, stable doors and French doors . Carbon fibre reinforcing, multipoint locks, steel drill plates, 3 star cylinder, s-glaze technology, outer & inner frame reinforcing and anti-bumping cylinders provide complete peace of mind. Rockdoor is made with a uniquely engineered door system ‘made to measure’ for strength, not ‘cut to fit’ which weakens the door. It is designed with a bespoke reinforced inner & outer frame, specially designed to hold all the components including locks, deadbolts & hinges.